Sleeping high on the mesa, the sun reaches the tent much earlier this morning than on our two previous days deep in the canyon of the Middle Fork, which makes it much easier to get moving. 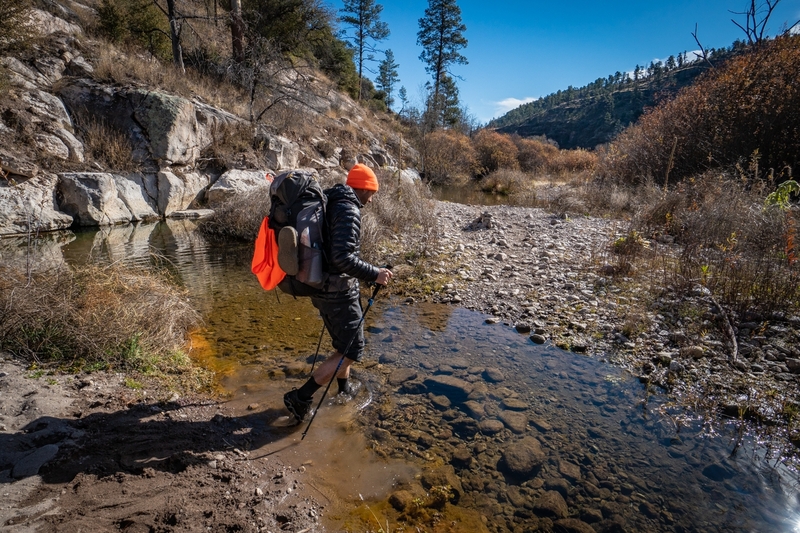 It also helps to know that we only have a short distance to hike today and that there are only a handful of river crossings to go before we reach the trailhead. Plus there’s always the inherent excitement of finishing a trek to motivate us today. We make quick work of our morning chores. 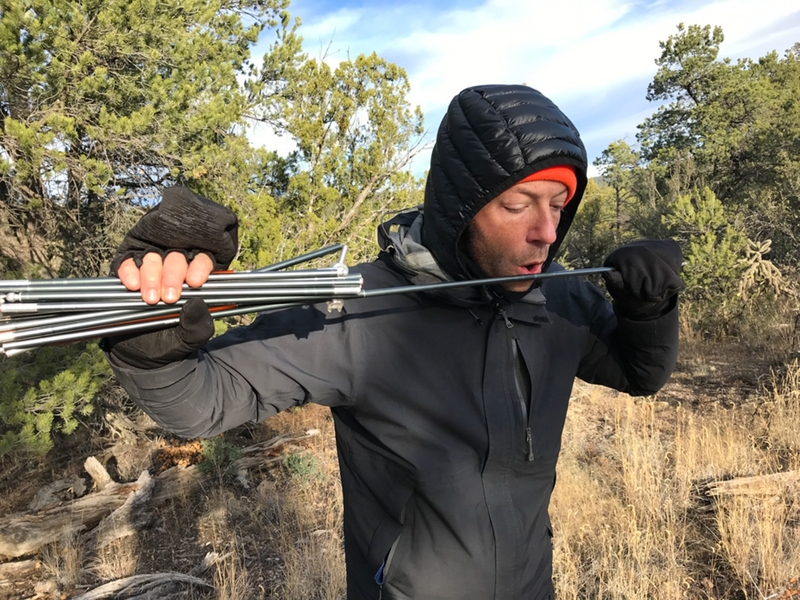 The only thing frozen today is our tent poles, and a little breath of hot air does the trick. We are packed and ready to hit the trail in no time. We head off in full sunlight. 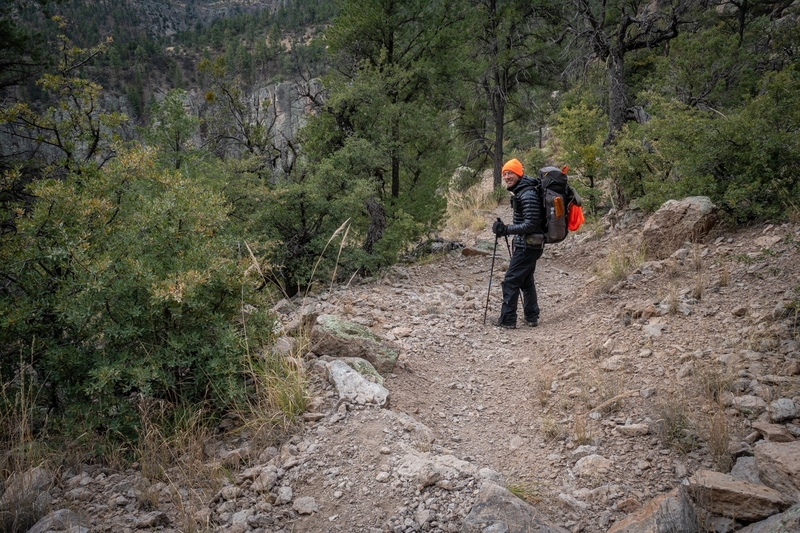 The temperature is still a bit brisk, but it’s all downhill to begin as we descend on a rocky path down to the West Fork of the Gila. The cliff walls here are just as impressive as they were on the Middle Fork, and we have a nice vantage point of them from the trail as we make our way down to the river. 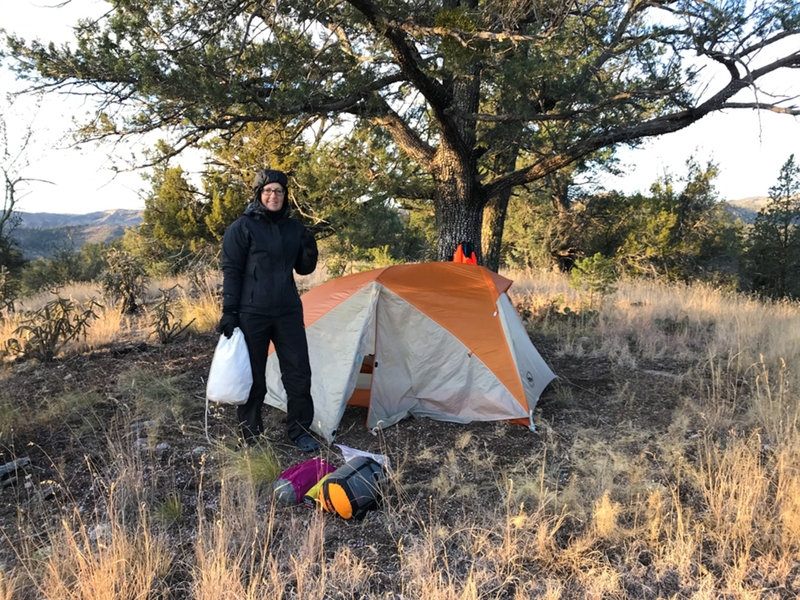 We are finally warm and dry, so it’s a pleasant change to be able to stop and admire the view without feeling like we have to keep hiking just to generate warmth. 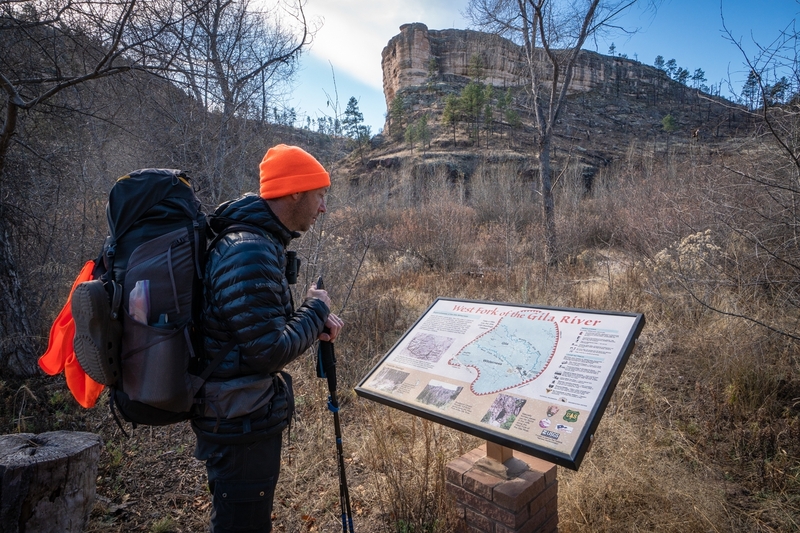 The West Fork is situated in a wide, grassy plain, and the trail is quite easy to follow. 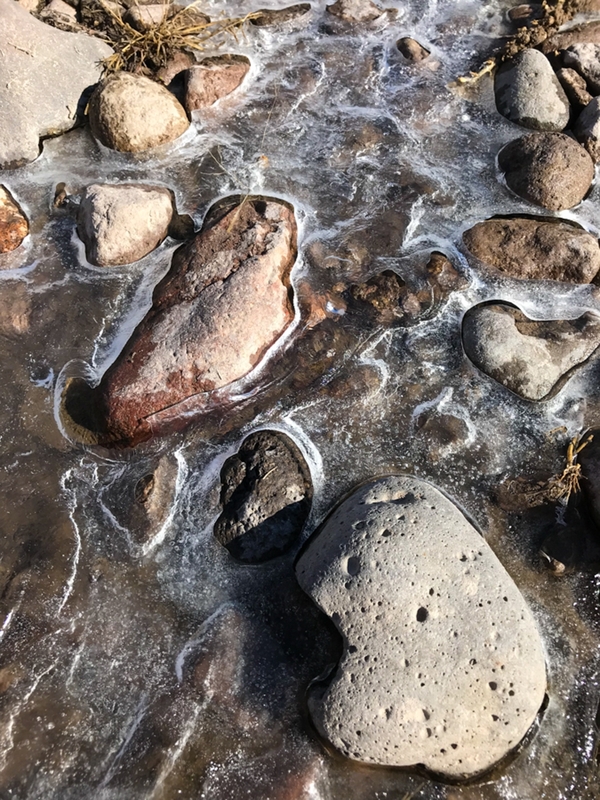 The river crossings are much fewer and farther between, and, even though it feels much warmer to us now, a few patches of ice near the water’s edge remind us that nighttime temperatures below freezing are the norm here in the New Mexican high desert. 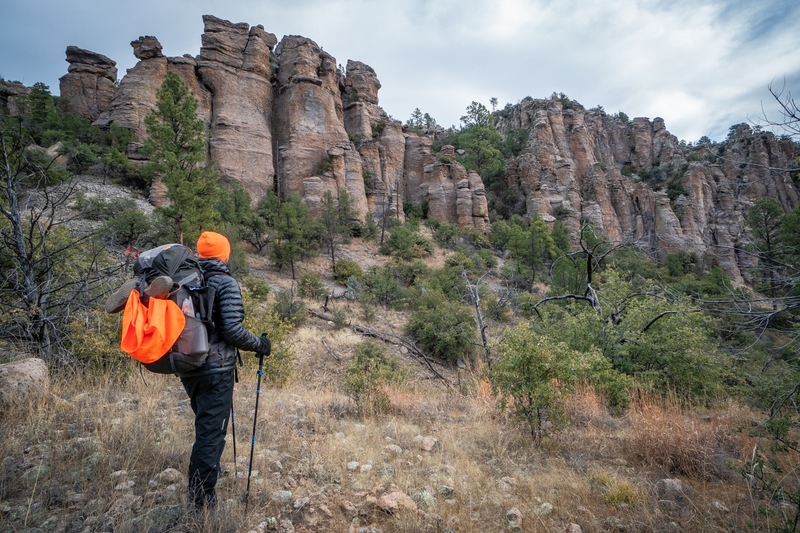 Soon enough, we reach the boundary of the Gila National Forest. After a final river crossing (hallelujah!) 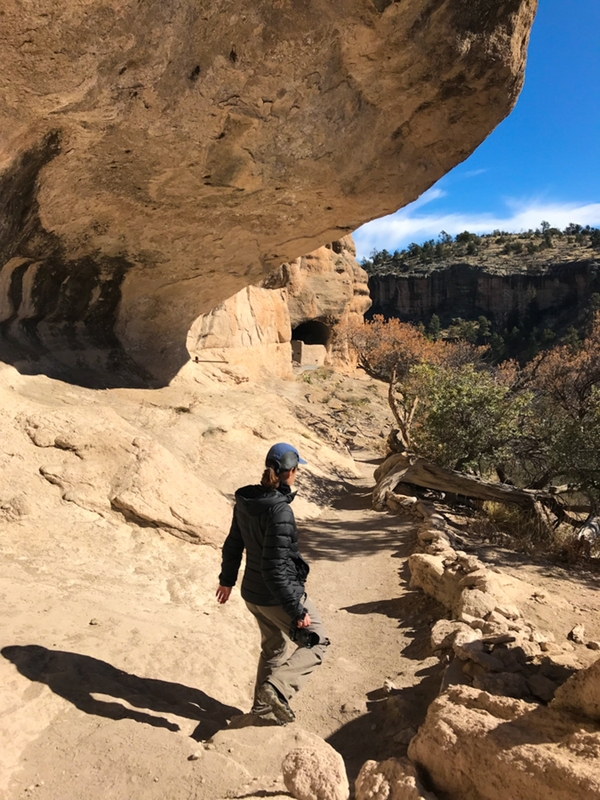 we find ourselves at trail’s end, walking onto pavement in the parking lot of the Gila Cliff Dwellings National Monument. We drop our packs and listen in as a friendly volunteer ranger gives a brief orientation to the caves. It costs $10 per person to visit the caves. We don’t have any money on us, but the friendly volunteer ranger allows us to enter on our honor that we will stop in at the visitors center after we return to our car. 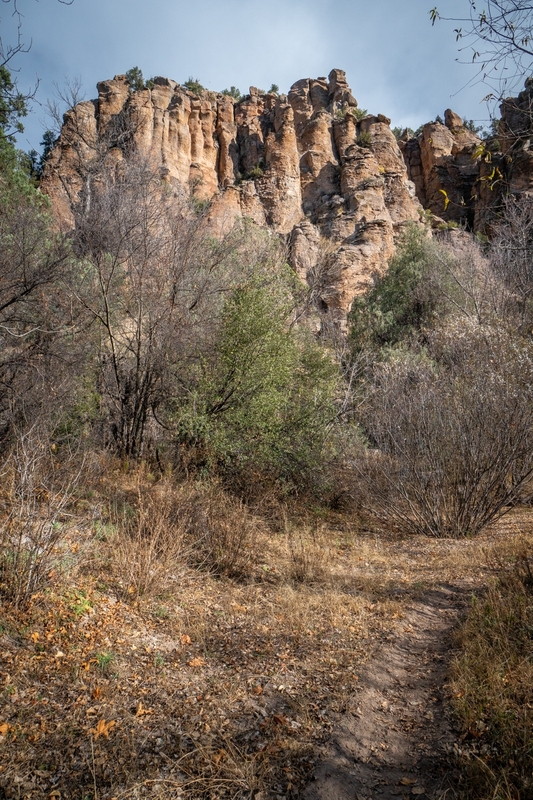 We follow the mile-long trail as it winds its way into a cool canyon with a trickling stream. He tells us where we can look for a pair of Mexican spotted owls along the trail, but unfortunately we never find them. 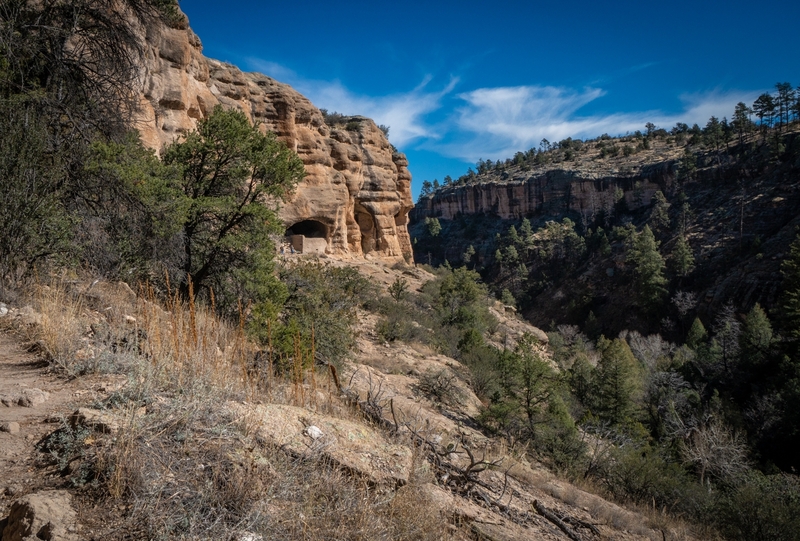 We continue on up to the caves of the Mogollon people who lived here briefly nearly 700 years ago. 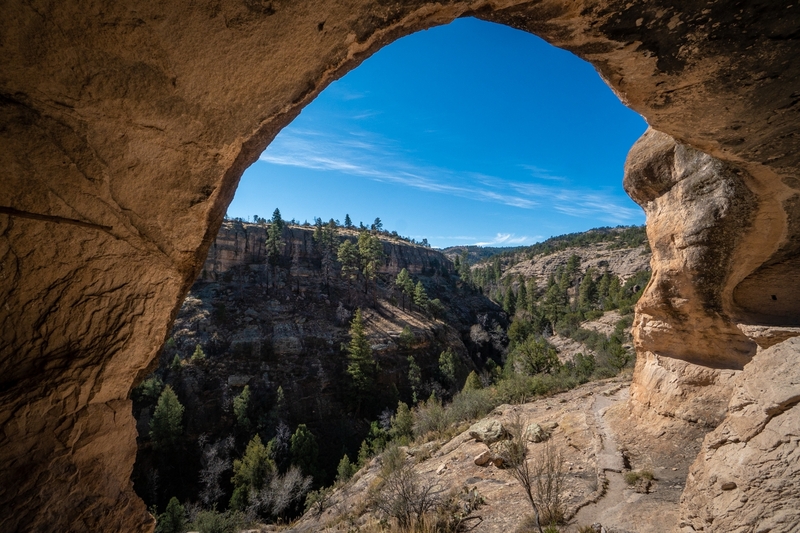 Very little is known about the Mogollon or why they left suddenly, but archaeologists believe the location was strategic. The southerly facing caves allowed for maximum sunlight in the winter and plenty of shade during the heat of the summer, plus the caves were relatively hidden from view and had plenty of access to food and fresh water. 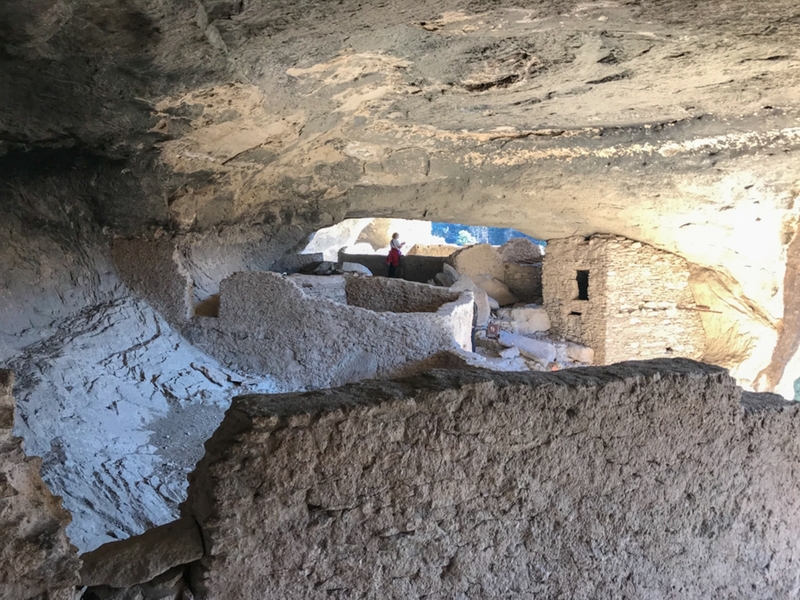 It’s cool to see the way the Mogollon people lived here, and the commanding view from the caves is impressive, to say the least. After touring the ruins we strike up a conversation with an older gentleman interested in our Peak Design Capture Clips. 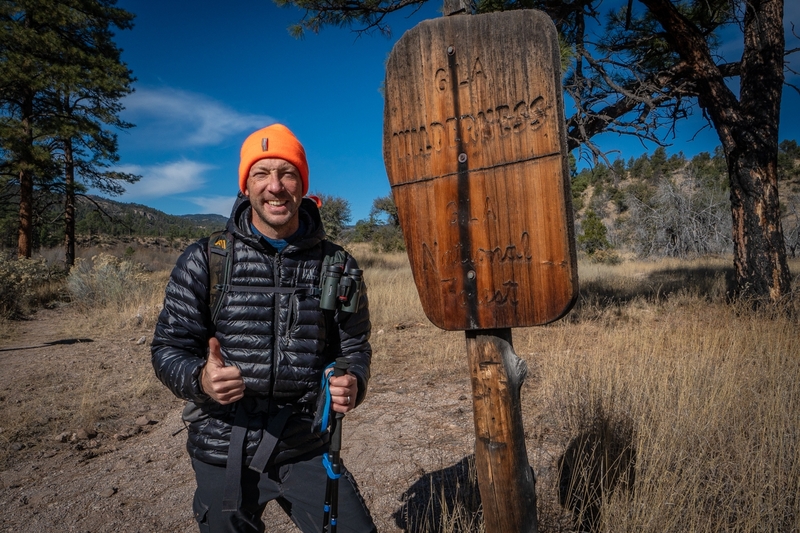 These little gadgets are our very favorite piece of hiking photography gear, as they give us instant access to our cameras whenever we want to take a photo on the trail. We always recommend them highly to anyone who inquires about them, and he seems sold on the idea. We still have a couple miles to walk to get back to where we parked our car, only it’s all along a paved road. We take advantage of the opportunity to ask the gentleman if he could give us a lift back to our car. 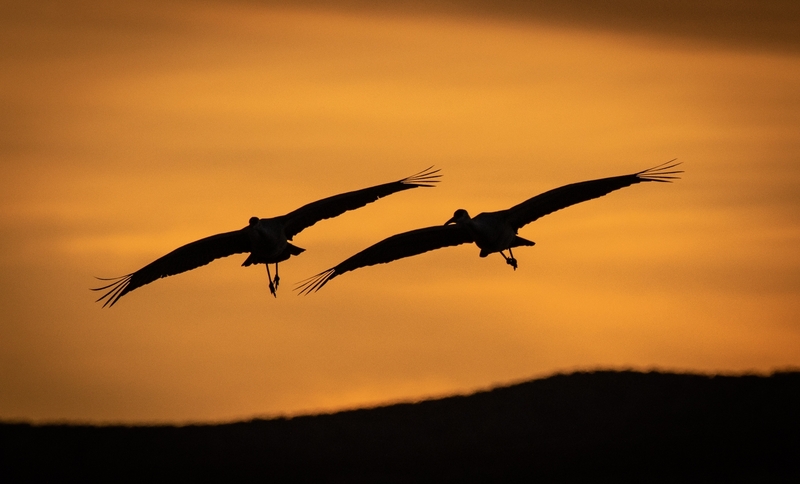 We are grateful when he agrees as this will save us some valuable time and allow us to get to Bosque del Apache National Wildlife Refuge in time to see the sandhill cranes fly in at sunset tonight. Our plan now is to spend the next several days photographing cranes, snow geese, northern harriers, kestrels, and any other wildlife we can find. It seems like a fitting end to our first real adventure in the Land of Enchantment. Thanks for reading!